What Is Furniture Wax? Why Should I Use It? Where Can I Buy It? When I think of wax – I think of cars, candles, bees, ears and Mr Miyagi from the Karate Kid. Cait gave me a new perspective on the stuff. Since at least 2011 she has been applying dark, white and clear wax – typically to her finished pieces. Being the experimenter she is – she has applied it both before and after sanding. From the perspective of someone new to the DIY furniture refinishing world – waxing is often something people are fearful to try or unsure of its purpose. If I was in a shop and someone tried to sell me wax – I would probably tell them I got it covered (I have a Costco size container of carnuba wax for my car.. unopened of course). It took me a few hours of research to figure out why someone would wax a furniture piece (before Cait gave me her passionate explanation). I understand wax on a car – its usually a protective thing – it keeps the sun from damaging the finish – and it helps keep dirt from sticking to it. On a car – especially in northern climates where salt on the road eats away at your car – the typical recommendation is to apply every 3 or 4 months. Like most car owners – the only time my car sees wax is when someone else applies it – or when i’m ready to sell it! It turns out car wax isn’t a bad analogy. 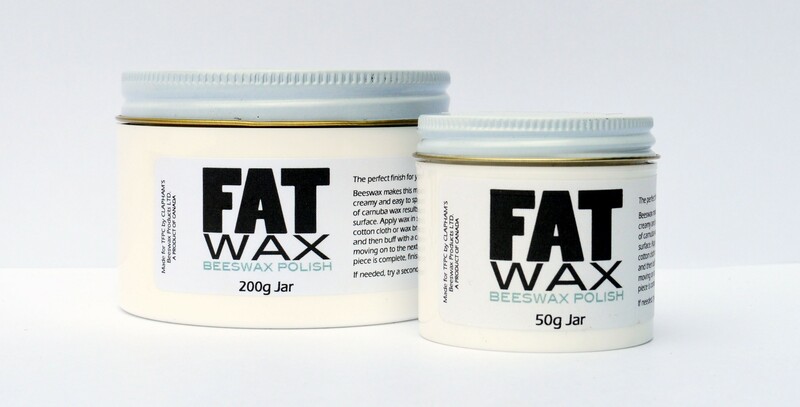 Most furniture wax (like FAT Wax) is made of a mixture of beeswax and carnuba. Some waxes claim to be pure beeswax, some are colored with some sort of pigment and many contain a solvent of some sort. Most manufacturers that are of the “boutique” variety (the stuff you don’t find at Home Depot) keep their ingredients close to their chest – many claim to be “old family recipes” (although I’ve yet to meet a family that makes their own furniture wax). What we do know for certain is that all furniture wax is in fact made with real wax – some have solvents mixed in and some are pure. All furniture wax is low to no odour making it easy to work with at home for the DIY crowd. Furniture wax is often sold along chalk style paint products and is applied after the paint to enhance the color and seal the piece. Chalk style paint is very porous which allows the wax to easily bond to the paint. When applied properly wax will provide a smooth matte finish and bring our the color of your paint. It also allows for easy touch ups. A large scratch can simply be fixed with a little paint and an application of wax – unlike a scratch on a car – there will be no evidence of any damage. All waxes take about 30 days to fully dry – once dry wax provides a solid protective coating which makes it perfect for pieces that actually get used – for smaller pieces like picture frames wax may be used decoratively but its not essential for durability. Furniture wax comes in a number of colors – typically white, dark and clear. The dark wax may also be called antique or vintage. Clear is the wax you would use to finish a painted piece with a nice matte finish. 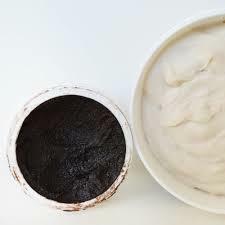 Dark or white wax are decorative waxes that can be applied on top of a clear wax or on their own depending on the manufacturer and on your application. Where Do I Buy Furniture Wax? You can buy a variety of furniture waxes from houseandcanvas.com or if you live in the area – feel free to drop by Cait’s shop!